Smart Traffic and Road Safety Summit, Dubai 2019, aspires to identify and analyze traffic and road safety challenges in the UAE and Middle East. Given the tremendous developments in UAE and the Middle East and the expansion of road networks, evolution of road transportation and the new policies and strategies to overcome traffic-related obstacles, smart traffic, road safety and accident prevention have become more critical than ever. Shailen Bhatt, president and CEO of ITS America, the official sponsor, will deliver a presentation at the event. Smart Traffic and Road Safety Summit Dubai 20109 will provide a platform for knowledge exchange and business development, and feature successful cases studies, latest innovations and methodologies in: traffic planning and control systems; vehicle safety research; road design and engineering; smart traffic technologies; road safety models; tires and parts safety; commercial vehicles safety; intelligent transportation systems; and space and speed management. 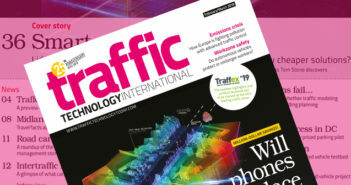 Meredydd Hughes – Executive Chairman, Road Safety Support UK, Ltd.
Shailen Bhatt – President and CEO, Intelligent Transportation Society of America, USA.